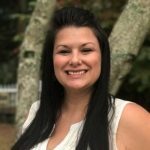 Amanda Emrick — founder and owner of Emrick Bookkeeping — is a certified QuickBooks Online Proadvisor and has been in the bookkeeping industry for 15 years. Her services include tax planning and preparation, accounting, tax advisory, consulting services, and more. Work For Emrick Bookkeeping? Claim This Page.